Among the coolest of future techs, 3D printing will democratize many industries. What we want to know is: how long til we can create Westworld-style human replicas on a whim? 3D printed parts can build airplanes and give life to artificial organs. However, until recently, we were unable to print specific kinds of bio-compatible materials. This limits the ability to create certain artificial human organs. Soft tissue, specifically brain tissue, is one of these materials. Building on previous research done by other universities, a new group provided a bioprinting breakthrough. 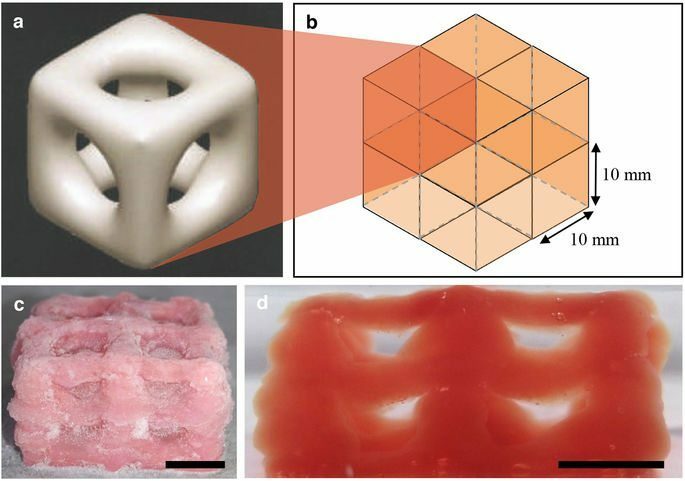 Have researchers finally cracked the secret to 3D printing new bodies? Last year in July of 2017, University of Wollongong researchers developed a bioink. Using this bioink, they were able to 3D print soft tissue. The trick lay in human-induced pluripotent stem cells or iPSCs. Essentially, the iPSCs can divide and replicate after the bioprinting and then replace tissues in the body. You can even pull these stem cells from a patient’s own body and use them. It is almost like an organ farm, but not in a creepy way. As seen with other 3D printing endeavors in the medical world, rejection is a serious concern. Lab-grown tissue is just one more way to mitigate rejection risk. It uses tissue from a transplant patient in order to do this. So, it follows that incorporating this tactic into the 3D bioprinting process helps. The ARC Centre of Excellence for Electromaterials Science (ACES) wants to use this for brain illness and injury treatment. Associate Professor Dr. Jeremy Crook also said that 3D printed brain tissue has more applications. They can develop healthy and unhealthy or diseased tissue for research purposes. Using this for tests, better medicine can be developed to treat illnesses. In turn, transplanting or restoring damaged organs or tissue is also possible. But the breakthrough the Wollongong researchers had in 2017 was not quite “all there”.